As the prices of fuel continue to increase and as we are constantly reminded of the dangers of vehicle emissions and greenhouse gasses, many are turning to electric cars as an eco-friendly alternative. While the switch to electric has been gradual, there are approximately 50% more electric vehicles on the road as what there were a year ago and as technology improves and the prices become more accessible, we expect to see many more electric cars on the roads in the near future. Here are the top electric cars of 2018. Best described as half crossover, half MPV, the Tesla Model X has space for 7 and all the modernity and tech the company has become famous for. The cleverly designed hinged gullwing rear doors will open in even the tightest of spaces and the interior offers plenty of room for 5, while the rearmost 3rd row of seats are perfect for kids on short journeys. The world’s first mass-market electric car is back as the ultimate family electric car and is sporting vastly improved battery tech and fresh styling to bring it in line with the latest Nissan vehicles. Boasting a real-world range of almost 200 miles, the 2018 Nissan Leaf proves the practicality of electric vehicles. Arguably one of the most versatile electric cars currently on sale, the Hyundai Kona Electric boasts a 64kWh battery with a range of 292 miles and can do 0-62mph in just 7.6 seconds – just as speedy as your favourite casino no deposit! Solid and reliable, the Kona Electric offers a crossover-style body with plenty of room for the kids, their friends, and their luggage. First unveiled at the 2018 Geneva Motor Show, the i-Pace is the first all-electric Jaguar and the stylish to comparable to that of the E-Pace and F-Pace. With electrical sorcery aplenty under the bonnet, you’ll wipe out your fuel bills and have the full Jaguar experience – albeit silent. 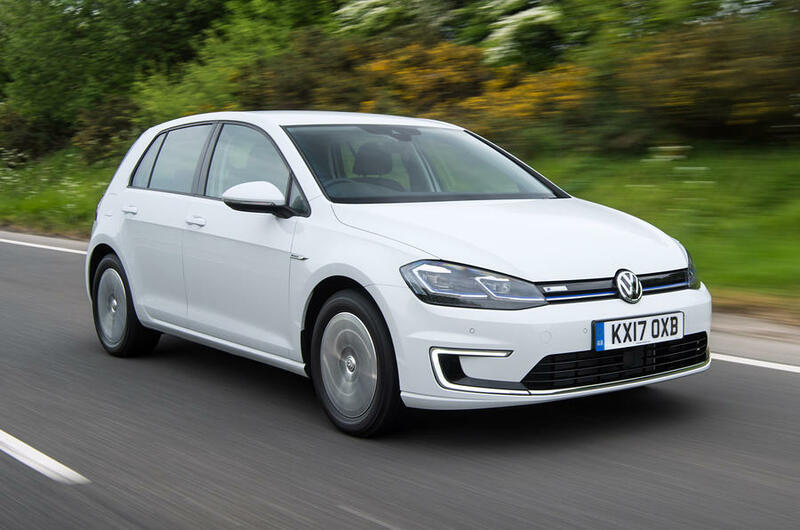 The VW e-Golf is everything we’ve come to love about the fuel version, just in silent electric package. While it may be a tad expensive, the base model comes with all the usual VW features – top build quality, modern connectivity, and cutting-edge styling of both the exterior and interior. With a choice of pure electric or plug-in range-extender forms, the BMW i3 range combines precision German engineering and electric technology to create a fantastic alternative to standard BMW’s. The i3 EV cleverly mixes F1-spec carbon fibre construction with futuristic styling to create the perfect city car and it’s extremely agile. It may be a tad pricey for a small car, but the Kia Soul EV is the perfect example of a conventionally shaped car with an all-electric powertrain. While the driving range is 132 miles meaning it won’t travel as far as some of its rivals, the Soul EV offers brisk performance and a smooth, silent driving experience.